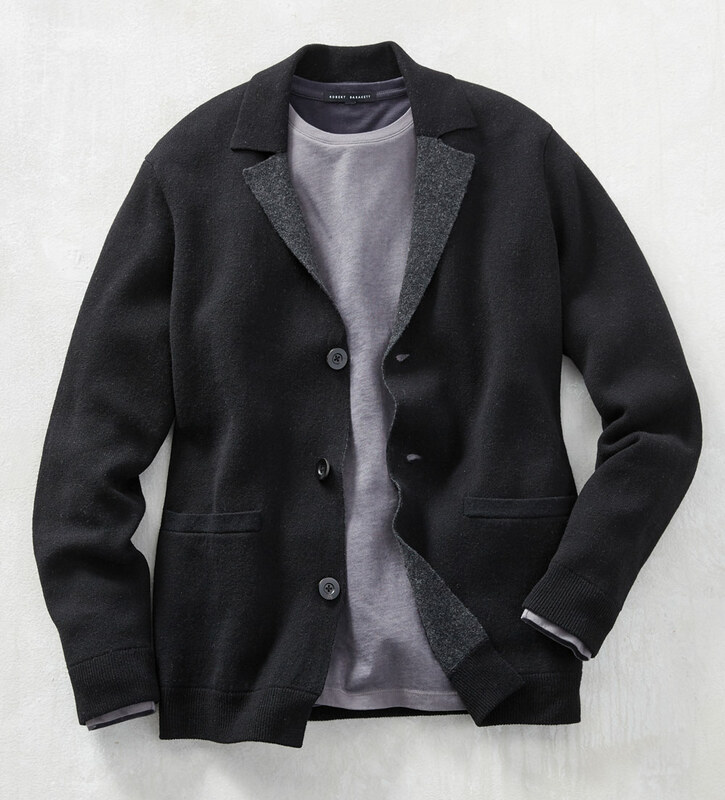 As comfortable and easy-to-wear as your favorite cardigan in a luxe blend of 80% merino wool/20% cashmere. Three buttons, no vents, notch lapels, pockets, ribbed cuffs and waist, contrast interior. Dry clean. Imported.